Points will be available depending on which age bracket the applicant falls within. Once the applicant is 55, no points will be available for age and state or territory governments must apply for a waiver of the age limit for people aged over 55. There is no minimum English language requirement for the new business migration subclasses. However, applicants with less than functional English will need to pay an English Language Charge before receiving their visas. People with trade qualifications, diplomas or bachelor degrees will receive 5 points. Qualifications must either be awarded by an Australian institution or recognised overseas institution. 10 points are available if the qualification is in business, science or technology. Points are available for experience relevant to the stream being applied for – ie for the business innovation stream, work experience as a business owner would be considered relevant. 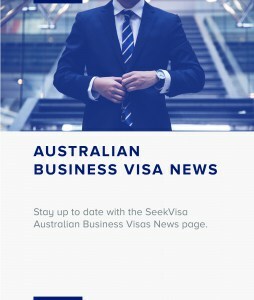 State and Territory Governments can support applicants by indicating that they proposed business is of unique and important benefit to the state or territory. This results in 10 points for the visa applicant.